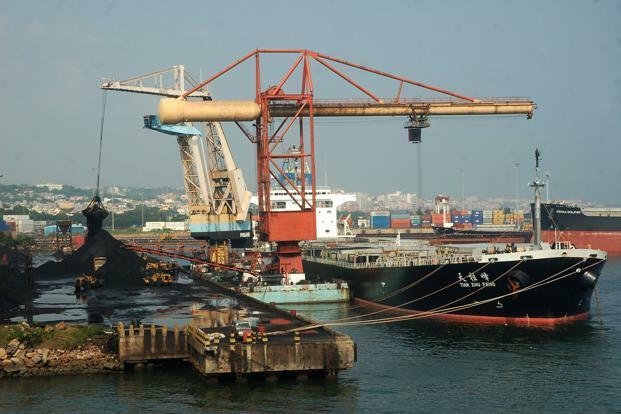 With a slew of concessions on cargo handling and labour levy amounts and initiatives taken to improve significantly for removal of bottlenecks for faster evacuation of cargo, Visakhapatnam Port was able to sustain its growth rate achieved during the first quarter in July. 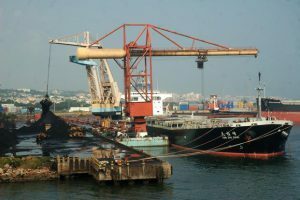 As against a growth rate of 17% recorded in first quarter, in July it could sustain the tempo by handling an additional throughput of 2.4 million tonnes (mt) during current fiscal as on July 27. Visakhapatnam Port Chairman M.T. The significant growth in iron ore is attributed to reduction in excise duty and increase in transport by coastal movement. Most of ore was exported to Japan by the MMTC. Performance efficiency is attracting more cargo from neighbouring ports though they are not under Tariff Authority for Major Ports (TAMP) regime. The average waiting time of a ship has been reduced from two to one day, a stevedore pointed out. During first quarter, the port handled 15.6 mt as against 13.3 mt in the corresponding period last year. The major cargo being iron ore which went up from 0.89 mt to 2.6 mt – a whopping rise by 192%. There was slight fall in coal which fell down from 4.11 mt to 3.88 mt. POL more or less remained same at 4.23 mt compared to 4.34 mt during corresponding period last year. Fertilizer also remained the same at 0.51 mt. However, container traffic continued its growth momentum with an increase by 29%. It increased to 1.51 mt from 1.07 mt. Other cargoes like petroleum coke, gypsum increased from 2.87 mt from 2.34 mt with a growth rate of 23%. However, sources said the growth witnessed in first quarter may not be sustained in second quarter due to projections on fall in crude intake by HPCL as it will be shutting down some of the units at Visakha Refinery for annual maintenance. We are confident of crossing 60 million tonne this year as against 57.03 million tonne during the last fiscal.